Yes .. this is a Peanut Butter Cup! 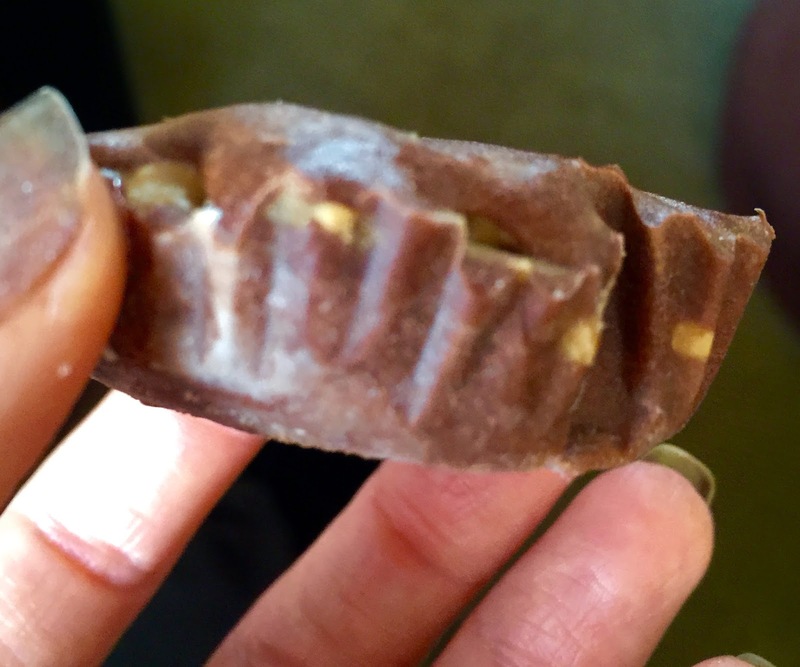 Well ... a 1st Phorm Protein Peanut Butter Cup!!! So many people are given meal plans and don't stop to think outside the box. For example .. if you are given oats and egg whites for breakfast ... that doesn't mean you have to just eat plain ole oats and eggs! Try one of my muffins or pancakes using my "basic batter base"!! Same goes if you are given egg whites and veggies -- make some veggie muffins! All you do is put the veggies in muffin tins, pour in your egg whites -- boom! How many it yields depends on your portions and size of muffin tins. But I eat about 6 small muffins when I do this! Add some hot sauce .. yummmm!!! Also -- say you are given 1 scoop of protein with water. They typical post workout, right? That doesn't mean you have to settle for a shake!! SOME (not all) proteins "bake" very well. You just stir in some baking soda (not much .. same amount I use in my batter base), then add water to make it a little thinner than batter consistency and put it in the microwave for like 30 seconds and boom -- you have cake!!!! I usually add some Walden Farms Chocolate, Caramel or Pancake Syrup on top! I've had some fails with some protein brands and success with others -- so just play around with them!! I also have been doing something really creative with my 1st Phorm Ignition -- I'll post about that later this week! OK .. onto the post topic. For one of my meals right now ... I get oats, protein powder and peanut butter. I LOVE protein oats (just cooked oats with protein powder mixed in after). But I don't need as much protein as I'm given to make my oats taste good (It gets too dry and thick if you don't have enough oats and too much protein powder). So I set aside about 2 tbs of the protein to stir into my oats and used the rest to make a PEANUT BUTTER CUP!! (**PS if you are wondering why my oats are pink .. since I used chocolate protein powder for the peanut butter cup .. I simply measured out my 1st Phorm chocolate protein .. then took out 2tbs ... and then got 2tbs of a different flavor (strawberry milk shake) for my oats. So my measurements are all the same .. but I get two flavors this way.) Oh .. and the 1st Phorm Level One Strawberry in Oats ... I DIE!!!!! It's so easy ... just mix your protein powder with a little bit of Walden Farms (I used chocolate this time since I was using chocolate protein) and water (you could use just water if you want. Or unsweetened almond milk) ... pour half into a cupcake liner .. freeze for about 15 min or so .. spread on the peanut butter ... pour the rest of the protein batter on .. freeze until ready to eat!!! If your protein isn't sweet enough .. add some stevia to the batter too! For my Peanut Butter Cup I used 1st Phorm Level One Chocolate Mocha! I've also done this using regular Chocolate & Vanilla! 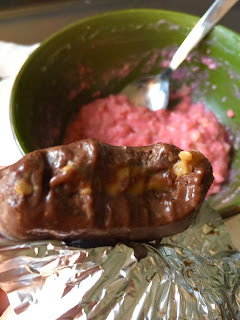 It may not be be the same as a delish peanut buttery filled Reece's Cup (my favorite) ...but it's still super yummy!!! Just beware -- it melts fast. So keep it in the freezer until you are ready to bite in.. because you can't savor it very long before it starts to melt all over your hands! And yes .. I licked every single gram of it off of mine, haha!